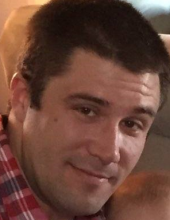 Blaise Andrew Festini, 32 of Litchfield, Ohio passed away suddenly on Sunday, Aug. 26, 2018. He was born in Euclid, Ohio on Jan. 20, 1986. Blaise was a lifelong resident of Litchfield and enjoyed hunting, fishing, camping, cooking and spending time with his family and friends… most of all his beautiful daughter Nevaeh. Visitation will be held Thursday, Aug. 30, from 5:00 – 7:00 PM at Parker Funeral Home, 210 Medina St., Lodi, where a funeral service will follow the visitation beginning at 7:00 PM. "Email Address" would like to share the life celebration of Blaise Andrew Festini. Click on the "link" to go to share a favorite memory or leave a condolence message for the family.